Play more than 4 million awesomely fun creations made by players like you! Make and sell custom models to trade with players from around the world to earn coins - then redeem your earned coins for real cash! Or challenge your friends to beat your best time on the leaderboards and play in Virtual Reality! 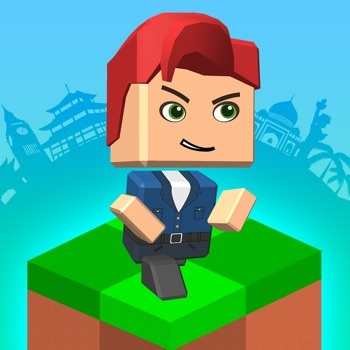 In Blocksworld, you can play racing games and platformers, escape mazes, battle monsters, and more. Build with drag-and-drop controls to create dinosaurs, helicopters, alien spaceships and giant tarantulas. Make satellites and semis, cats, robots and robot cats! Tap Play and watch your creations walk and talk, jump, drive, fly, shoot lasers, fire rockets, or, if things go really well, explode! When you create something awesome, share it with the rest of Blocksworld in our moderated community. And there's always something new in Blocksworld! From outer space adventure to zoo animals to city building to military operations.